MCH DHP Dip. PLR Dip. CBT Coaching MPLTA GHR Registered CNHC Registered. So it is a natural state of mind, a natural ability. Children spend up to 70% of their waking time in hypnosis. What I do is to take this natural ability and focus in on it, to help people change their lives and achieve their goals. When we are in a hypnotic state, we are highly suggestible. The positive suggestions that I give you bypass the critical mind, and are acted upon much more powerfully than is possible in an everyday state of mind. Mental imagery is very powerful in assisting you to make changes in your life. The unconscious mind does not distinguish between ‘real’ and ‘imagined’ experiences. During hypnosis, imagery is accepted into the unconscious mind and acted upon accordingly. A hypnotherapist is a therapist who uses hypnosis to help a client to change and so assist him to move forward with his life. I help my clients create new positive realities for themselves. I help my clients alter their perceptions and emotions around past events, which may be affecting current behaviours, attitudes and relationships. Hypnosis is ‘an altered state of consciousness’. You might feel lighter, floatier, but rest assured that you will be aware of everything that is going on around you and you will be in control. If at anytime you want to come out of hypnosis then you can just take a deep breath and simply open your eyes. Quite simply the answer is YES, so long as they have the ability to concentrate. It is more difficult for the very old, the very young and for someone with a mental illness. Fear is the one thing, which will prevent someone from going into hypnosis. However, if you are working with an experienced hypnotherapist like myself you will soon realise that there is nothing to fear, only many wonderful therapeutic benefits to be gained. That depends on your motivation and desire to change. Hypnotherapy is a very powerful therapy and I want to help you in the minimum number of sessions possible. We will continually review your progress so that you can judge how your therapy is progressing. I will usually see you once a week but it depends on your presenting issue and the progress you are making. 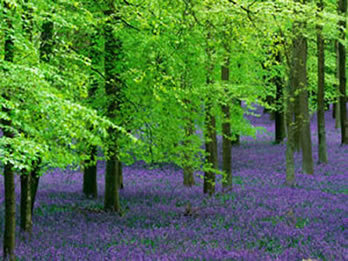 I am a hypnotherapist and complementary practitioner working in the Tunbridge Wells area. "Tel: 01892 784965 Mob: 07799 661575"